The VapeMons Turbo Mesh Disposable Sub-Ohm tank is a 4mL e-liquid capacity tank, with 0.15 ohm sub-ohm tank atomizer and a wattage output range of 40 to 90W. 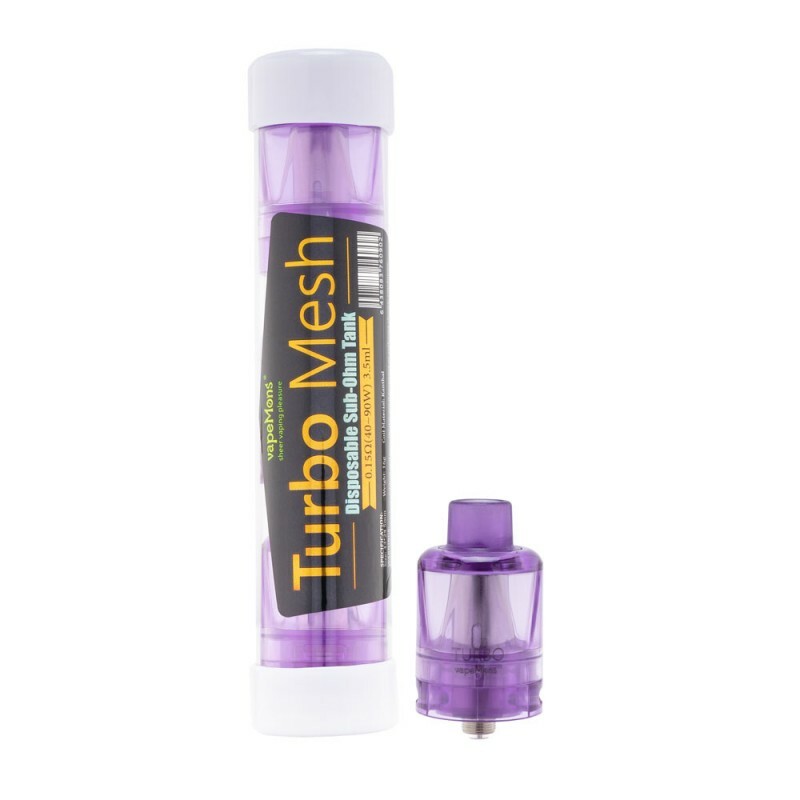 The Turbo Mesh built-in 0.15 ohm coil head features a mesh coil. 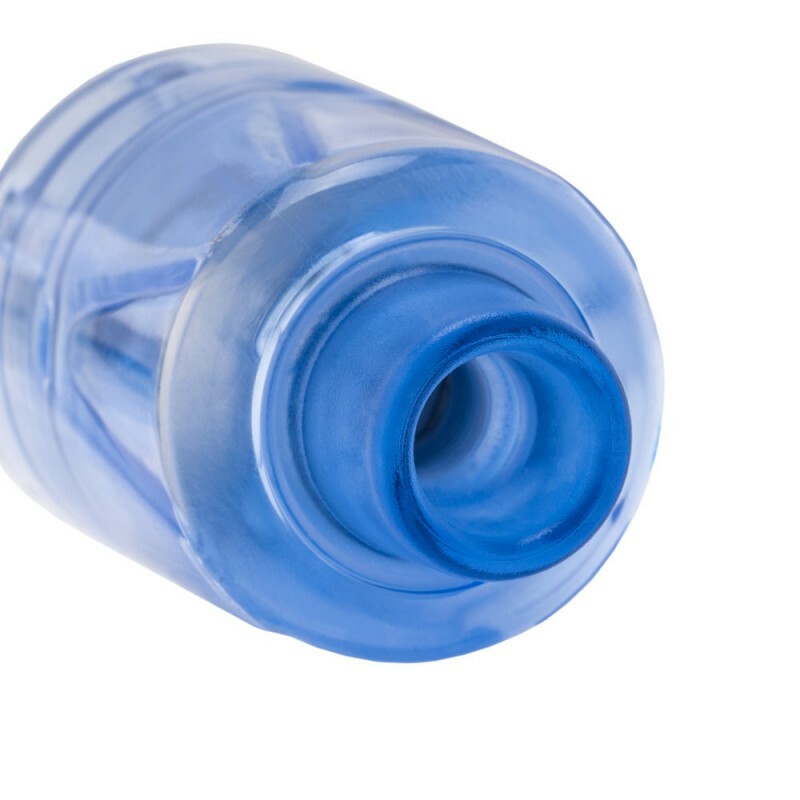 Turbo Mesh is a refillable 24.5mm tank with an Innovative top fill system that uses a fully removable drip tip. 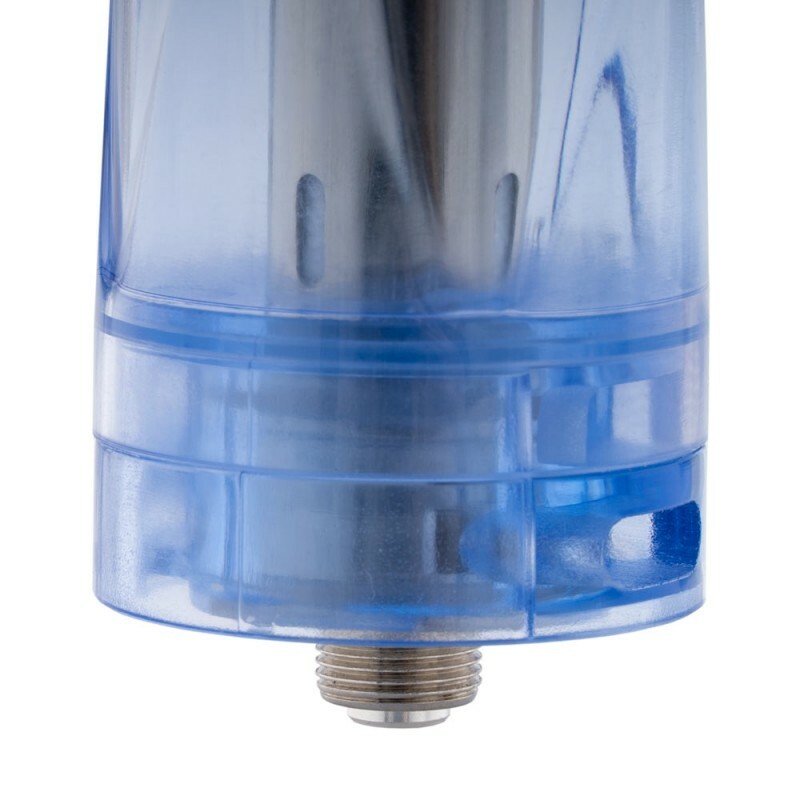 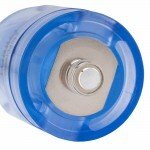 It has two 8mm by 3mm constant air slots that is best adjusted of the tank. 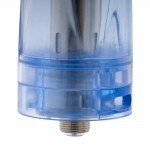 A 9mm bore 510 drip tip. 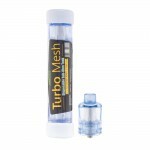 The entire body of the VapeMons Turbo Mesh is made of acrylic, except for the coil head and the gold plated contact. 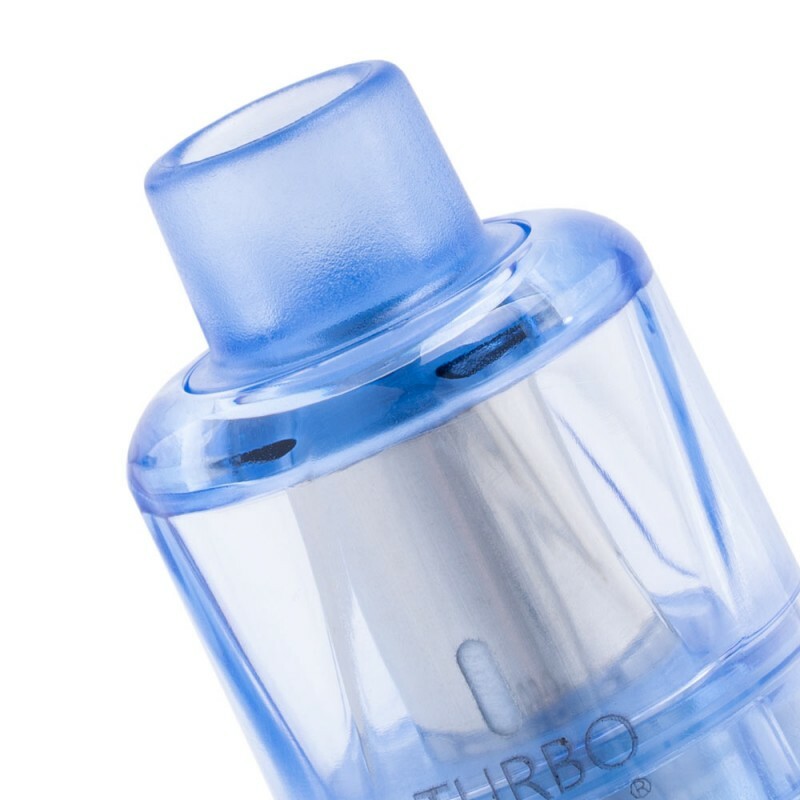 The VapeMons Turbo Mesh 24.5mm Disposable Sub-Ohm Tank is a convenient sub-ohm tank on the go, perfect for situations when a conventional sub-ohm tank just wont do.